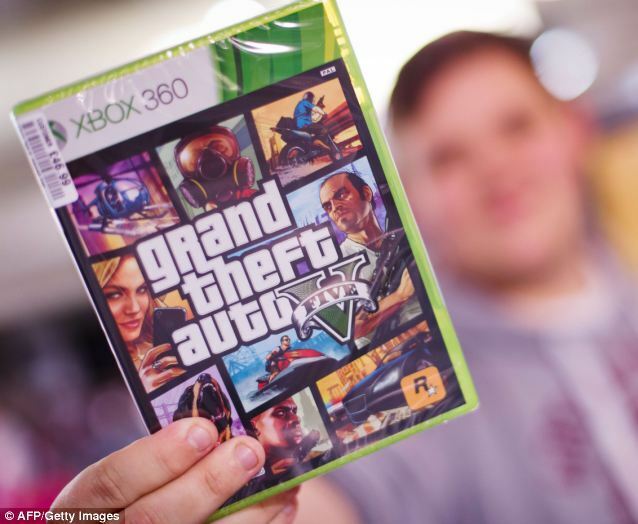 Three teenagers have been arrested in connection with a robbery that saw a Grand Theft Auto fan stabbed, hit with a brick and robbed after queuing to buy the new game. The 23-year-old victim had stood in line for hours at a supermarket to buy the game and was on his way home when he was attacked in the Colindale area of north west London. A Scotland Yard spokesman confirmed this morning that three people, aged 15, 16 and 18 are being questioned by detectives at a north London police station. The unnamed man is recovering in hospital where he remains in a stable condition. The three men were arrested close to the area where the attack took place. Detectives had said in the hours following the attack that they believe he was specifically targeted after his attackers saw crowds of fans queuing in the car park of Asda superstore in Colindale, North-West London before the game’s midnight release. Several stores across the country started selling the game at midnight as part of a worldwide release of the fifth in the blockbuster series to fans eager to get their hands on one of the most highly-anticipated games of all time. ‘It is important that the video game industry takes steps to inform the public about the level of extreme content. A Scotland Yard spokesman said: ‘A 23-year-old man was shopping, then on his way back home he was hit with a brick and stabbed. 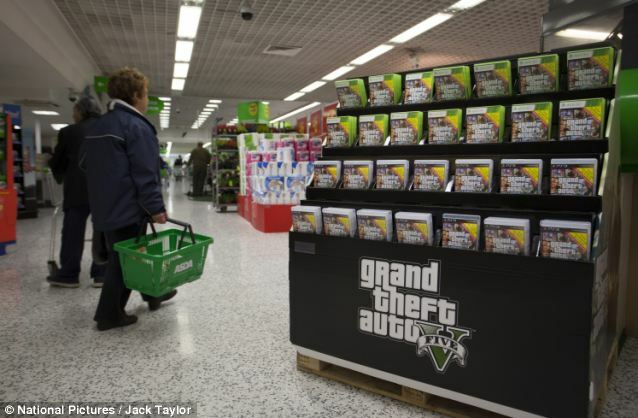 ‘He was robbed of items he had bought from a nearby Asda supermarket including a copy of Grand Theft Auto. As well as the computer game, the man’s attackers also stole his watch and mobile phone. The scene of the attack was cordoned off yesterday while police appealed for witnesses.